The most recognized, published, reviewed & commissioned image maker, storyteller, wedding photographer, in our Holy City of Charleston, SC. Celebrating capturing over 500 weddings for the last 19 years. Welcome to King Street Photo Weddings, owned by Michel Berda, who is considered one of the best Charleston, wedding photographers. Michel, has devoted himself to being a Charleston wedding photographer in South Carolina for over 19 years. He started his photography career as a part time job in a photography store while attending high school in Hawaii, back in 1976. In this time he was taught the fundamentals of film, developing, chemistry, photography equipment, lighting, and all other aspect of photography. Upon graduating high school in 1980, he moved to Los Angeles, California, to follow his passion in working in a photography store. In this time he also started a part time job learning from the top professional photographer by assisting them as an apprentice. Michel decided to move to Myrtle Beach, SC, after visiting a coworker who had family who owned a photographic store there. In 1989, Michel was fortunate to move to this amazing city of Charleston, South Carolina, by pursuing his photography career and owning two of the most well known photographic stores on King Street and Market street. They were called King Street Photo. 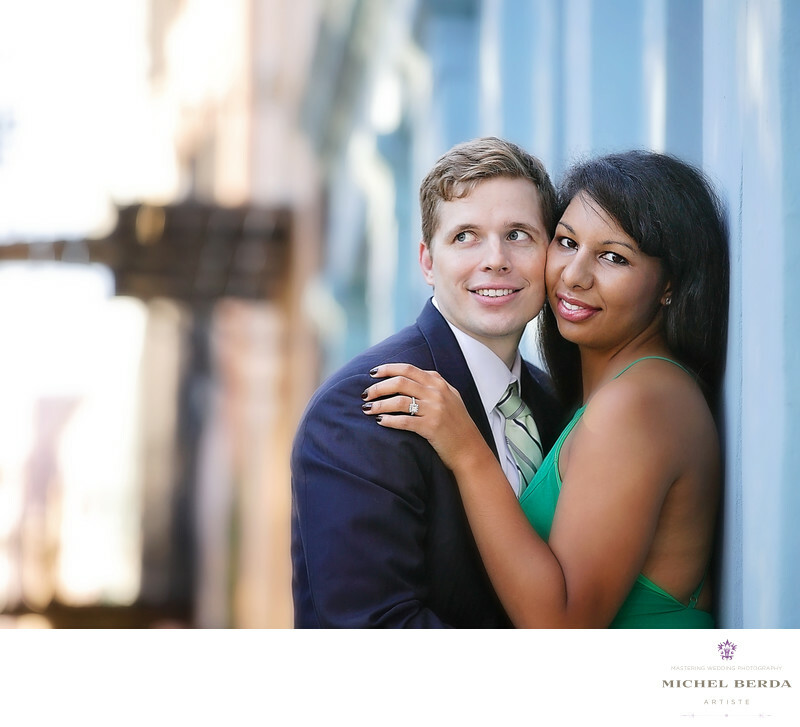 Very soon after that King Street Photo Weddings was born, Michel became part of the Charleston wedding photographers. He became successful by capturing many weddings and offering his clients all of the aspect of wedding photography, bridal portraits, and engagement photos. He has also been commissioned to capture fashion editorial photography, family portraits, corporate events. He has been a proud member of this Holy City and our community of Charleston, SC, for the last 26 years. He attended his first WPPI conference back in 2001, learning from the best wedding photographers mentors in the world. He has dedicated and has been blessed in life to capture over 500 weddings thus far, by giving his clients artistic well-captured weddings images with that perfect moments. In addition working with some of the best; venues, plantations, hotels, and vendors in this wedding industry in Charleston, SC. He also is a destination wedding photographer, and has done weddings in the Bahamas, and all over the U.S. He is able to create the perfect wedding photography timeline, in order for him to capture the happiest and most important moments of their magical day, which is a skill not easily attained. He also strives in perfecting natural light, artificial light, strobe created images, under any lighting situation for that WOW factor in wedding photography. It is his vision and love for the art of artistic images, by being seamless and unobtrusive, and you the client enjoying your special day and remembering it from his heart and eyes that has set him apart from the rest of the Charleston wedding photographers for years. Michel is considered an Artiste among his clients, family, friends and peers. There is no doubt he has been blessed with this great talent for capturing lifetime memories. To an Artiste, it is more than just being one of the Charleston wedding photographers that SC that has been seen over the years. Each wedding is totally different, there are so many elements to capturing it. Those moments Michel captures are passed from generation to generation, which allows each and every one of his clients to create and leave behind documented legacies.You make an investment with King Street Photo Weddings. An investment that Michel, makes sure you receive beyond your expectation, as a wedding photographer in Charleston, South Carolina. 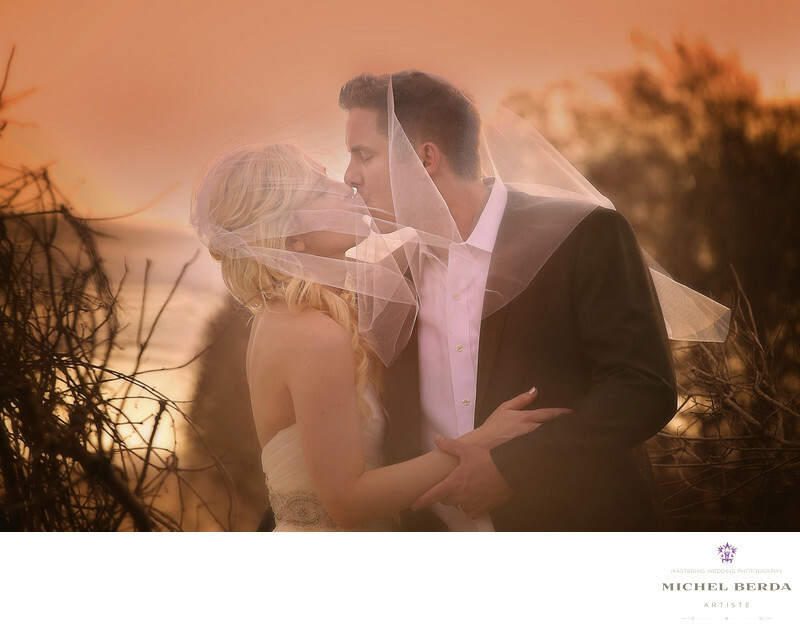 Michel has captured through his art, a lifetime of memories for 500 weddings clients thus far. One of his greatest accomplishment is being published by these national publications: Carolina Bride South Carolina, Charleston Wedding Magazine, The Knot Real Weddings, Destination Wedding & Honeymoon, Studio Design, Grace Ormonde, Weddings Unveiled, and Destination Weddings & Honeymoon, and Charleston Style & Design, both Spring and Winter issue, as well in numerous national blogs. In addition to all of this as a Wedding Photographer in Charleston, SC, his main objective to his branding has always been to give every single client impeccable service, thus resulting in the highest most glowing wedding photography reviews on the internet. Starting with The Knot with 51 reviews, 69 Google reviews, Wedding Wire with an impressive 117 reviews. He is also honored to be the recipient of The Knot, Best Of Weddings for 2015 and 2018 pick awards, Wedding Wire Couple’s Choice awards for 2015, 2016, 2017. 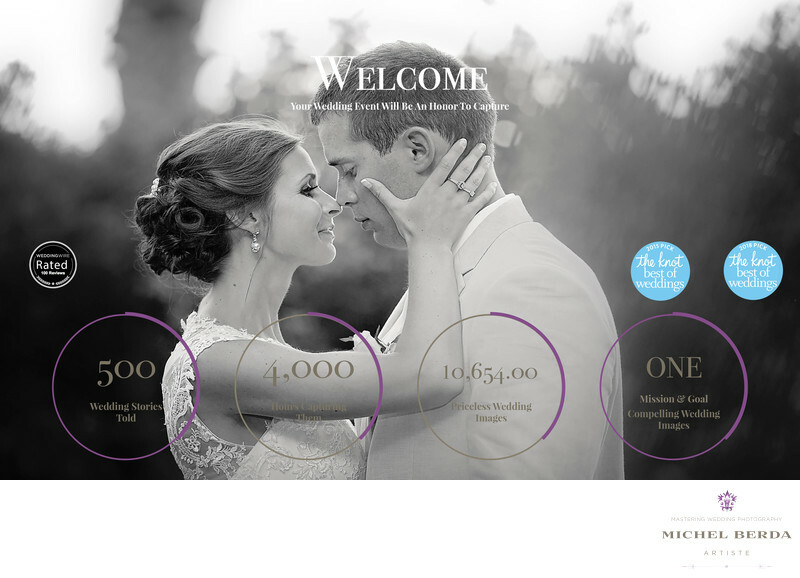 He is now the recipient of the Wedding Wire Black Badge that showcases positive newlywed 5***** reviews, it puts King Street Photo Weddings as one of the highest rated photographer by couples who acknowledges and applaud the top elite, Charleston Wedding Photographers. Michel has been commissioned as a destination wedding photographer as well; by having the knowledge and experience of capturing wedding photography at venues, plantations, hotels, resorts, at the best locations for wedding photography in each of them. This has led him to have traveled nationally and internationally to provide his Artiste wedding photography services to the following destinations: Hilton Head, SC, New York, Miami, FL, Atlanta, GA, North Carolina, South Carolina, Los Angeles, CA, San Francisco, CA, Hawaii, and The Bahamas. You can rest assure and feel confident that if you're having a wedding here in Charleston, SC, or a destination wedding with all of his experience and dedication for the art of wedding photography, that you will receive total satisfaction and impeccable service for your wedding. Michel has truly become part of the best wedding photographers.